Almost all teenagers have access to online communication across Australia, so how can you keep your child safe online? Childhood bullying is a tale as old as time, with 1 in 5 Australian parents reporting that one or more of their children had experienced bullying in the last school term. But what happens when the bullying steps off the playground and manifests online? Cyberbullying, using chat, text messages, email or social networking sites to hurt or embarrass someone, is harder to detect and put a stop to than offline bullying due to its anonymous nature. It can also reach a wide audience and be hard to erase – therefore having a large impact on your child. It can be hard to know what to do if your child is a victim of cyberbullying. Indeed sometimes its hard to know if they’re a victim at all. 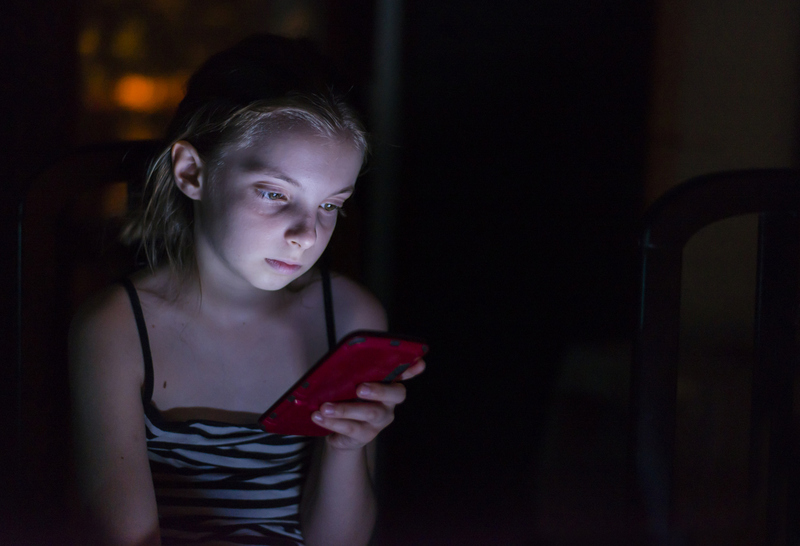 In the recent RCH National Child Health Poll it was found that although 93% of teenagers have access to online communication, 55% of parents are not confident that they could tell if their child was being bullied online. What does cyberbullying look like? Cyberbullying takes many forms and can range across forums and methods of communications. Someone setting up fake profiles pretending to be your child. This list is not exhaustive and it’s important to remember that whilst what is okay and not okay on line might be hard to define, any online activity that is designed to hurt or embarrass your child should be taken seriously. What are the implications of cyberbullying? It’s anonymous: Bullying from behind a screen often means that the perpetrator is bolder and more hurtful with their words and actions. They can threaten and scare their victims without any immediate repercussions. It’s relentless: The ‘always on’ nature of online means that the bullying can feel like it never stops. Whereas offline bullying stops when your child leaves school for the day, online bullying can reach them wherever they are, at any time. It’s wide reaching: online bullying can reach a wide audience, fast. This means that photos designed to embarrass, or words designed to hurt can be seen by many people which can deepen feelings of humiliation. It can also result in other cyberbullies joining in and adding to the victim’s distress. What can I do to prevent this happening? Cyberbullying is a growing concern amongst parents. With 93% of teenagers and a third of children in mid to late primary school regularly communicating online, parents have an important role to play in ensuring safe online behaviours. RCH’s National Child Health Poll showed that 1 in 6 parents had not spoken to their child about how to keep themselves safe online or what to do if they faced cyberbullying. Speak to your child about the importance of speaking up if they experience any form of cyberbullying. It could also help to talk them through what cyberbullying is and encourage them to share anything that upsets them online with you. Setting some rules about their online activity is also a simple yet effective way of preventing cyberbullying. Teaching your child good ‘netiquette’ such as ‘report nasty comments on social media, don’t respond’ or ‘be careful what you post on social media’ can help them navigate the tricky waters of the online world. What can I do if they are a victim of cyberbullying right now? Block the person doing the bullying. Your child can unfriend them, or block calls and texts from their number. Up their privacy. Look at upgrading your child’s privacy on their social media sites. The less the bully can see and interact, the better. Keep a record of the bullying behaviour. Taking screenshots and printing hardcopies of emails or hurtful comments can help you keep track of what is happening. If you report hurtful content to a social media site and they don’t take it down within two days you can make a complaint to the Office of the Children’s eSafety Commissioner. Encourage your child to put their phone away and spend time doing something fun with their friends or family. Reminding them that there is a life outside of the online world can help them gain some perspective. If you’re struggling to know what to do the Office of the Children’s eSafety Commissioner has a cyber bullying support tool for parents to help you work through the issue. Your children’s teachers may also be able to offer support, so speak up and let them know what is going on. If you feel that your child’s wellbeing is affected by this or they are displaying signs of anxiety or depression, speak to your doctor. They will be able to advise you on the best course of action. How does nature boost your health and happiness? Are you connected, but still lonely?